We want to blow people away. At the same time, it's just as important to partner with the local church and youth pastors. We make sure that the people that come to see a Kutless show know that Jesus loves them, cares for them, and desires to spend time with them. As a band, we have been so fortunate to have this platform to play our music. We are humbled to be able to communicate Christ's love for people night after night. For the members of Kutless; Jon Micah Sumrall, James Mead, Ryan Shrout, Kyle Mitchell, and Kyle Zeigler, the past was fun. What's more important is the future. The band headed back to the studio with producer Aaron Sprinkle in August of 2003 determined to avoid a sophomore jinx. Kutless emerged in mid-December with Sea Of Faces, a follow-up record that reflects a major step in the maturing of Kutless as writers and musicians. 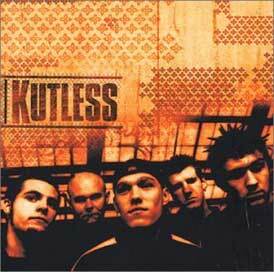 Kutless is a relatively new Christian band from the alternative music powerhouse city of Portland, Oregon. Not surprisingly the Kutless cd has a distinct Oregon alternative flavor to it but with one exception. Instead of meaningless lyrics like those we have come to expect from Nirvana and Pearl Jam-like bands, Kutless comes with very strong Christian lyrics with deep meanings that should appease even those parents who don't like all that heavy metal music but will put up with it because of their kids. In a day where many bands come with borderline lyrics that allow them to make it to the mainstream. This band is Christian and proud of it, and deserves the support of even those who like to bash the Christian rock scene as worldly and out for themselves. The statistics on Kutless are impressive: Best selling new artist of 2002; a feat accomplished in just six months due to a mid-year record release. Three number one R&R Rock singles. One top 5 CHR single that unexpectedly became the longest charting song in the history of the R&R CHR chart. Total sales of 155,000 to date on their self-titled debut release. Kutless played 220 shows their first year to almost 200,000 people. All of this from an unknown rock band with no indie track record. In Christian music, that's pretty hard to do. Songs like "Not What You See" about the struggle to resist the culture and serve others, or "Sea Of Faces" about the miracle of God's love for each individual, or Passion which reflects on the crucifixion of Christ, shows giant leaps in the diversity of Kutless writing. 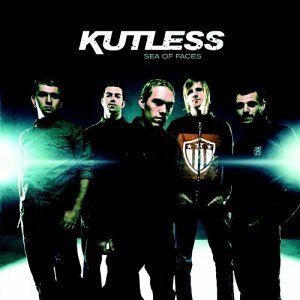 Sea Of Faces is sure to please die hard Kutless fans and introduce a completely new demographic to the band's sound. Says Jon Micah Sumrall, "We wanted to make a record that was more diverse. We wanted a lot more layers, more electronic loops. We wanted to write lyrics that reflected where Christ has us, just like the last record, but the lyrics had to be better written. We are really pleased with the final product." More than anything, Kutless is defined by what they do on the road. Truly, the band's grueling schedule is not for the faint of heart. Says Jon Micah, "Yeah, 220 shows last year. We've never been so tired, so hot, so cold, so excited, or so down at different times last year than at any point in our lives. But you know, we really feel like we have a vision for what we want to be. It's critical for us to present a live show that is excellent." While looking back on where the band has been, and turning to face the future, it's clear that the goals and methods of Kutless have remained consistent. Focus. Passion. Strong work ethic. Character. The desire to be better, write better, play better. As Jon Micah puts it, "We feel so blessed to be where we are, and we want to have a bigger and bigger impact. I guess it just feels like we were born to do this." Indeed. The CD Kutless is very strong with the all of the first 4 tracks along with tracks 9 and 10 having the capability of being Christian radio songs. The signature song of the cd is the first song and if you are one of those people that buy a cd for one song and listen to it over and over, "Your Touch" definitely is one of those songs. "Your Touch" has held a position as one of the top Christian Rock singles since it was released and climbed to number one on that chart and may be a sleeper candidate for song of the year. If you haven't heard this song the premise is that everyone needs to reach out for God's touch, and the song has very strong guitar work and even a little spoken word/rap in the middle to complete the song. The second track, "In Me", may not be the strongest song musically but the lyrics are very strong. The song speaks of the transformation that takes place when a non-Christian becomes a Christian or when a backsliding Christian comes back from the party scene. This song may or may not be a personal testimony of the band or the writer of the song, but it is sure to hit home with many Christians who have fallen from living life the right way and come back into the fold and then have the challenge of reaching their old friends that are still in the scene they just left. The third track of the cd seems to continue the standard set with the first 2 songs as the song "Run" belts out great guitar and some more solid lyrics. This song is one of those songs that just seem to stick in your head after hearing it a few times, and may have some good success on Christian radio as the song takes a softer alternative sound and will appeal to those that may not like heavy alternative music. The main premise of the song is putting someone in Jesus' place and how Jesus just wants to be with you, yet everyone seems to try and run from Him. The fourth track of the cd,"Vow", is yet another solid song that tells of a New Year's vow to follow God in a new way. This song may be the weakest of the 5 songs that I liked on this cd, but with a cd of this quality you may lose this song in the mix even though it is yet another strong lyric track. The rest of the songs on the cd are much like the above songs with strong lyrics and a good message to both believers and non-believers. The first four songs definitely stood out as the best tracks of the cd in my opinion and the CD ends with 3-4 solid songs that are worth listening to also. Kutless returns with Strong Tower, a worship album that delivers a solid mix of popular songs while introducing new and upcoming worship music. Using their distinct hard rock edge alongside powerful ballads, Kutless manages to deliver a modern worship album that goes above and beyond the expectation of the genre. Includes "We Fall Down," the title track and the crowd favorite "Better is One Day." Our songs have always dealt with life and things that you go through and that other people go through around me. I feel like it's still very much... our primary goal is to show people God's love; to show people God cares about them individually. And also to show people that they can have fun as a Christian. It's not all hymns and organs and things like that. In fact we tuned the guitars down even lower than on the first album. It's almost like - and we did produce it so that our soft tunes would be softer. And our hard tunes would be harder. We feel that some of the songs on the new record are even more, are harder. The first record is just more raw. And the new record we have a lot more sampling and drum loops and stuff. But we really did... umm, one of the goals for the new record was to do a little better on CHR radio. We had "Run" on the first record chart top five on CHR but we had absolutely nothing to send them next. It was like that was the only tune you know. So we thought we should have two or three tunes so that when one goes we can send them the next one and so we definitely did want to have... and plus, it's the kind of music we love. I would even say maybe our strength. Kind of the more ballady kind of tune. We're definitely not trying to "we need to go a little softer on this record." I think it's just kind of the way it turned out. There was a definite conscious decision to have a couple of songs that were more accessible to a broader crowd. But other than that we tended to go full on and rock out on the rock songs. We're really pleased with the way it turned out though. I really think that it's a very accessible record, which is great and I'm pleased about that. But at the same time it's still a rock record for sure and it has some strong ballad points as well; it's very broad and it takes you on a good journey. We were definitely looking to broaden our fan base as well. As a rock band in the Christian music industry that can kind of peak out your career, so to speak. We definitely don't make music for a formula to please people but at the same time it's like what's the difference between people that play the side stage at a festival and the people that play main stage? Your Third Day's and Newsboys and all those people. TobyMac. The side stage, you know, for a family, are all your kids favorite bands. The main stage is stuff your whole family likes. It's kind of like... we don't want to be, you know, cause we started seeing a lot of adults coming to our shows. A lot of old rockers and they appreciated the rock. We love to kind of see a bunch of kids up front having a good time and we can look in the back and see all their parents tapping their toes and bobbing their heads. On this tour we had, this one story, many times, this one lady came up and she said "I just really want to thank you guys. I have a fifteen-year-old son and as you know that's a really hard age for a mom and her son to connect and find common ground. But we're on a date tonight, just me and my son, to your show. This is the first time in a long time we've found something where he said yeah, that'd be fun." So she was so happy that she just got to spend the night just him and her hanging out. And I think that's definitely something that I'm proud to see come out of the record. Cause I think on our first record we were trying to make the point and beat it home: we're a rock band! And every tune, don't forget it, we're a rock, band! But on the new record we're just like, let's make music we love. Let's not put any certain pressure on ourselves. And the cool thing too is that a handful of ballads on our new record are just record songs. When you come to a show it's, our show is still very high energy, very rock and roll. Because we don't just play our album top to bottom. We play a couple of ballads and then all the rock tunes and all the rock tunes on our first record. So our shows are still definitely rockin'. I've been singing since a very young age. My first choir was in 4th grade. I started guitar in Junior High and piano in Kindergarten at age 5. Switchfoot. Vocally, Lifehouse and Third Day. Dean Markly Strings, Dunlop Pics, Audix Mics.